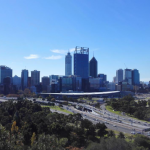 a beautiful port city located about 19 km (12 miles) south of Perth, is the the estuary of the the Swan River, which runs into the Indian Ocean on the West Coast of Australia. 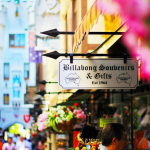 Fremantle was established as a city in 1929, and now it has a population of around 26,000. 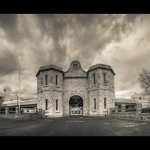 Fremantle is a historical harbor city. Most of the buildings are under the protection of the local government, so the whole city still retains the same street style as that 100 years ago. 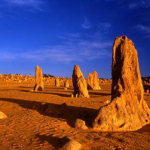 Attractions worth visiting include the Army Museum of Western Australia, the Fremantle Prison and Fremantle Market. 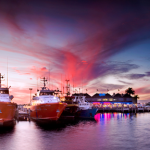 In Fremantle, you can savor fresh seafood at the harbor, watching the locals taking boats to the sea for fishing and seabirds circling in the sky. It sure is a place where you can get a chance to engage into local lifestyle and relax. is located on the bank of Swan River, covering a wide range of up to 400 hectares on the mountain. 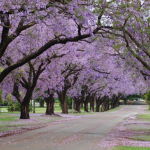 The park has a variety of lush trees which create a magnificent view in the park. It is designed to maintain the original nature of the land. 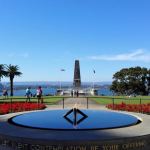 On the other hand, the park has a lot of modern facilities for visitors, such as barbecue areas, a greenhouse and a lookout point providing the best location to take a panoramic view of Perth. Primitive and modern factors intertwine with each other harmoniously. 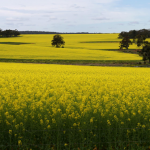 In particular, the wildflowers of Western Australia are in their full bloom from September to November. 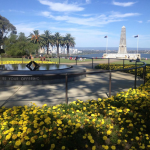 Every spring, Wildflower Festival is held in the Kings Park, providing convenience for people who bother going distant suburbs to see the flowers. The grassland in the park suddenly turns into a pleasant colorful carpet of wildflowers. 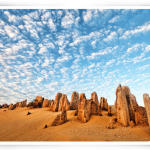 sitting in the Nambung National Park, is a peculiar natural wonder near Perth. The appearance of the landscape is just like the surface of the moon. In past ages, it used to be a primeval forest. Later, trees perished and the earth was weathered. The sand level around those died trees sank, leaving limestone between the plant’s roots standing alone in the yellow desert. The scenery is as spectacular as the moon surface. 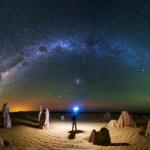 is located about two hours south of Perth. In this tranquil greenish blue colored bay, you can choose walking or taking a train on the 1.8km long jetty, going through the beautiful Indian Ocean. It is the longest timber jetty in the southern hemisphere. Under the waves, you can also go to the Underwater Observatory and enjoy one of the best artificial reefs in Australia. Rottnest Island is Western Australia’s very own Island getaway, featuring a casual atmosphere, picturesque scenery and some of the world’s finest beaches and bays, is located just 19 kilometres off the coast of Fremantle.It’s a special place for Western Australians and a popular destination for interstate and international visitors. Mediterranean-style climate and indigenous flora and fauna of this Island provide the backdrop to a special holiday experience. 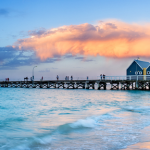 Called “Rotto” by the locals, Rottnest Island is located 18 kilometres off the Western Australian coast, near Fremantle. It is called Wadjemup by the Noongar people, meaning “place across the water”. The island is 11 kilometres long, and 4.5 kilometres at its widest point. 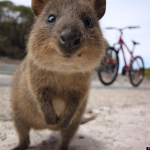 Its total land area is 19 square kilometres Rottnest Island has been a favourite local holiday destination for over 50 years. 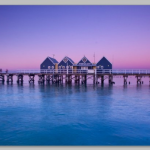 The main settlement is located at Thomson Bay, which is a protected north-easterly bay facing the mainland. Other settlements are located at Geordie Bay and Longreach Bay on the northern side of the island. All are sheltered bays and well suited for boating and swimming. 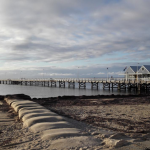 Many other bays around the island have permanent boat moorings which can be leased from the Rottnest Island Authority. The island has accommodation for up to 2,850 visitors, while day-only visitors can number up to 5,000 at any one time. Rottnest Island Authority accommodation options include 308 villas, units and cottages which sleep 4, 6 or 8 people and which are self-catering. This style of accommodation is reasonably basic. Demand for accommodation is very high during the summer months, with ballots held annually for accommodation during the January and Easter school holiday periods. 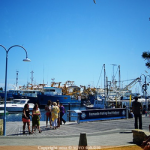 The easiest way to get to Rottnest is by ferry, leaving from Barrack Street Jetty in Perth, or from Fremantle or Hillarys Boat Harbour. Surfing, diving, swimming and fishing are popular activities on the Island. Diving is popular because Rottnest offers varied limestone reef terrain, and plentiful fish making it an interesting diving destination. In particular, diving for crayfish Western rock lobster is popular in the summer months. A snorkel trail at Parker Point features underwater interpretative plaques that give information about the marine environments surrounding Rottnest. 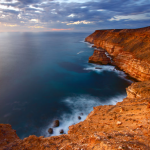 The island is the southernmost point along the Western Australian coastline at which coral grows. The Rottnest Island Wreck Trail was developed in conjunction with the Western Australian Museum in 1980 as the first underwater interpretative trail in the southern hemisphere. Visits to some of the Rottnest Island shipwrecks, in essence a museum-without-walls can be made by glass bottomed boat, or by scuba and snorkel. The SS Macedon site is one of the most visited wrecks in Australia. The island features historic buildings and pleasant beaches (all reachable via the many cycling tracks; cycling being the island’s main mode of transport – private or hire cars are not allowed on the island). Take a walk along memory lane with Chronicle’s interactive digital tour of Scarborough’s seaside strip.The Hidden History walking tour is produced by Chronicle Scarborough, a social history project telling local stories in innovative ways. Your digital device becomes a portal to the unheard stories of Scarborough’s wild past. Stories of love, tragedy and childhood memories will come to life in this living, breathing archive of Scarborough’s history. Add your own Scarborough stories along the way at the time capsule and memory space. Head on down to Scarborough Beach with an inquisitive mind. We recommend going about an hour before sunset to make it really special. The self guided tour takes approximately 50 minutes to complete. There are no limits to the number of people taking the tour. You can do it by yourself or with friends. What’s your Scarborough story? Share it with us on our website, email, Facebook or Twitter. 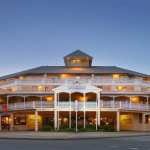 Set on the Sunset Coast Scarborough Beach is just twenty minutes drive from the heart of the city of Perth. Scarborough offers a long, wide sparkling beach for sports, sunbathing and beachcombing and clear waters for swimming and surfing. Just back from the beach lies a wealth of restaurants, cafes, shops and accommodation styles to suit every taste and budget. During summer, hundreds of bronzed bodies and excited tourists spend hours or all day sunbathing, reading, swimming, surfing, listening to music, playing beach volleyball or other ball sports or all of the above! The clear water is a calming array of brilliant blues and azures. 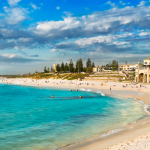 The sand is soft and bright white and the sweeping panoramas offer views to Fremantle in the south and Hillarys in the north. Step off the beach into a freshwater shower then make your way along the grassed picnic and barbecue areas to the Norfolk Pine-lined streetscape. Here, restaurants, cafes, shops, stores, markets, pubs, bars and nightclubs are within minutes of the warm waters of the Indian Ocean. 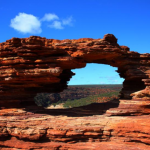 Discover the variety of award-winning wineries, fine food, fascinating history, amazing art and lively events set against the stunning scenery of Western Australia’s Swan Valley. 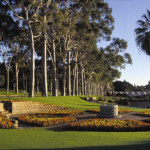 Best of all, it’s just a 25 minute drive from the Perth CBD and less than 10 minutes from the Perth domestic airport. 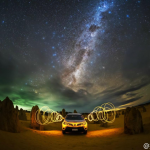 A great way to experience the region’s wonders is to follow the award-winning Swan Valley Food and Wine Trail – a scenic loop taking in some of Western Australia’s finest wineries, breweries, distilleries, restaurants, cafés, arts and crafts and fresh produce. The University of Western Australia. The campus is located on the bank of Swan River. 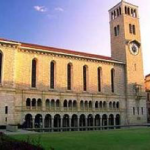 It is one of Australia’s top eight universities, with more than 100 year of history.